People have been using "slogans" since the beginning of history—that is, pithy, memorable phrases used to rouse crowds to action or gain support for a cause. From battle cries to country mottos, people have always rallied around catchphrases to prove their where their loyalties. From the ancient Roman motto "Senatus Populusque Romanus" ("The Senate and the People of Rome") to Napoleon Bonaparte's war cry "Vive L'Emperor ("Long Live the Emperor"), people—and governments—around the world have historically condensed their causes to just a few words that inspire allegiance and intimidate opponents. In American society and government, this human tendency towards rallying around a few well-chosen words and phrases has taken a distinct form: that of political slogans. Phrases such as "I like Ike" or "Happy Days are Here Again" had an incalculable effect on the campaigns in which they featured and continue to play a huge role in public consciousness. Instrumental rallying cries like "No taxation without representation" or "The buck stops here" have proved invaluable to whole political movements. In the modern age, we still rely on slogans and catchphrases—but the ways we choose to display them have changed significantly throughout the years. Moving through history, people found that merely repeating a catchphrase or slogan verbally (as in the case of a war cry) was not enough; they wanted to be able to physically display which side of the issue they stood on (and to potentially attract new converts to their cause). Politically, this physical representation first came in the form of buttons—ordinary brass buttons like you might find on any blazer or uniform. These brass buttons served as commemorative tokens for political efforts as early as George Washington's presidency in 1789. Perhaps the first real presidential campaign (where opponents made public efforts against one another to win votes from the public) was in 1828, when Andrew Jackson ran against John Quincy Adams. Jackson, who had previously lost the election of 1824, was driven by his defeat to actively and aggressively campaign for voters' attention. Jackson's efforts included parades, events, and lots and lots of memorabilia. 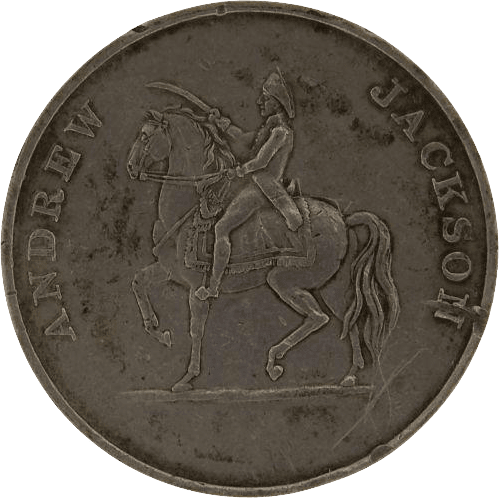 Along with snuff boxes, flasks, and various other trinkets, Jackson gave out many campaign medals and buttons in order to remind people of his military successes and seek votes. The campaign turned dirty fast, as both candidates set out to discredit one another through rumors and mudslinging. However, Jackson's intense merchandizing seems to have been effective, as he defeated Quincy Adams handily. In many ways, this messy campaign set the precedent for all following elections—and in many ways gave rise to the merchandised campaign strategies we see today. Campaign buttons continued to be a mainstay of political elections, though most only showed an image of the candidate and his name. Images of Lincoln's face on medallions accompanied his run in 1860. Eventually, presidential candidates began placing campaign slogans on buttons rather than just their portraits and a year or phrase. In 1924, Coolidge sought re-election through buttons emblazoned with multiple slogans including "Deeds, not words" and "Keep Cool-idge." Printing catchy slogans on campaign buttons quickly became par for the course in politics, with what is perhaps the most famous one appearing in 1952: the unforgettable "I Like Ike" buttons and merchandise that accompanied the political draft and presidential run of Dwight Eisenhower. Dwight Eisenhower's campaign also marked the beginning of another long-lasting trend in political slogans: bumper stickers. Bumper stickers were first invented after Ford came out with the Model A in 1927, and other companies were scrambling to produce similar cars. 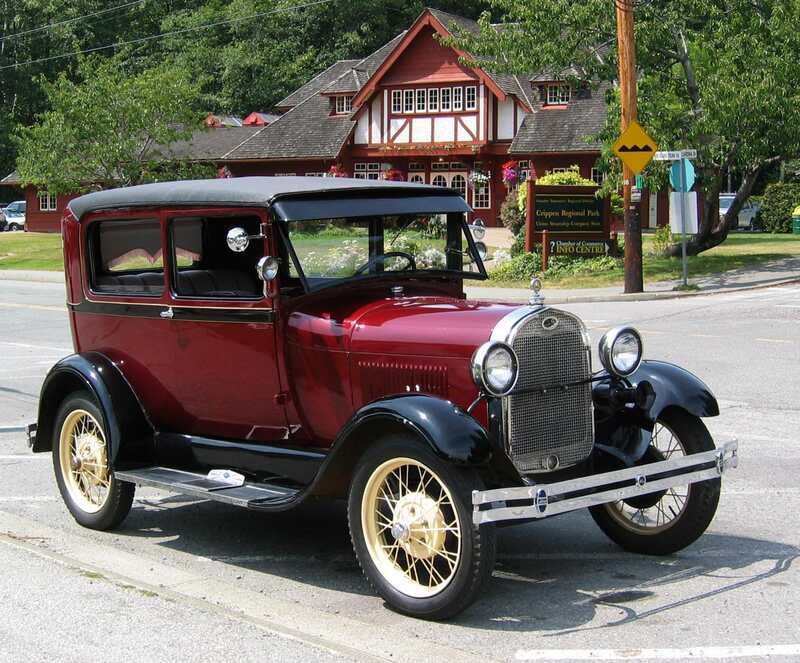 While previous models had much smaller bumpers, the large bumpers of the Model A seemed to invite decoration—and so, as simply as that, the bumper sticker was born. Eisenhower's campaign bumper stickers—decorated with the famous "I Like Ike" slogan as well as other campaign catchphrases—were among the first in what would become a long string of political bumper stickers (one that continues to this day). Eisenhower would successfully employ the same strategy in his 1956 re-election campaign, and virtually every presidential candidate since has used bumper stickers as a part of their campaigns. From this straight-forward beginning, bumper stickers evolved to help people convey not just support for political candidate, but also their own personal, overarching political beliefs. Coinciding with the divisive Vietnam war of the late 50s, 60s, and 70s, bumper stickers covered the entire political spectrum, from pacifist sentiments like "Make Love Not War" to the staunchly patriotic "America: Love it or Leave It." Since then, bumper stickers have proved to be a lasting and effective tool of political rhetoric as well as personal expression, despite the fact that they are often divisive. In fact, bumper stickers were taken to court in 1991 with the case of Baker v. Glover in Alabama. In this case, Wayne Baker fought for his right to keep a bumper sticker on his car despite the fact that it contained a curse word which many people found offensive. The court ruled that bumper stickers are an essential component of freedom of speech. In the ruling, Judge Myron Thompson stated that "for those citizens without wealth or power, a bumper sticker may be one of the few means available to convey a message to a public audience." In the eyes of the U.S. Government, bumper stickers are a perfectly legitimate way to display one's opinion, political or otherwise. 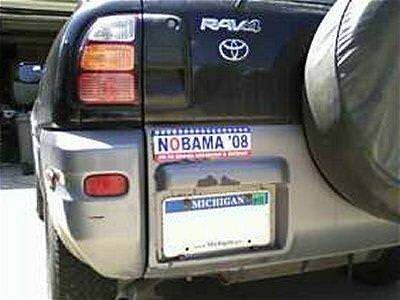 People share their political beliefs freely on the backs of their cars. 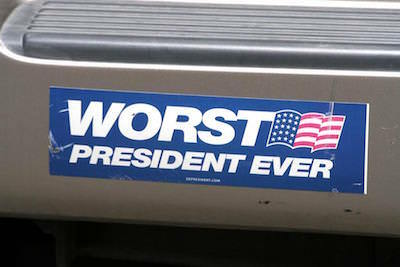 Every modern presidential campaign is accompanied by numerous bumper stickers, usually designed to appeal to many different target audiences. Sometimes these stickers are official marketing tools of the campaigns, other times they are humorous spin-offs or parodies of political slogans. To some historical and political analysts, this poses a problem. They've coined a term— "bumper sticker politics" — to describe the way that people will rely on slogans they have read or soundbites they have heard rather than taking the time to research the issues at play themselves. Others are concerned about the way that politicians seem to have become more concerned with branding and marketing than with actual content. It seems to many that the bumper sticker-ization of American politics has made it too easy for people to generalize views by narrowing them down to a pithy slogan or eye-catching design. Of course, this isn't a new phenomenon; public opinion has always been formed, at least in some part, through the chanting of catchphrases, slogans, war cries, and mottoes. Bumper stickers didn't cause a new way of thinking about the world—they just gave people a different way of expressing it. 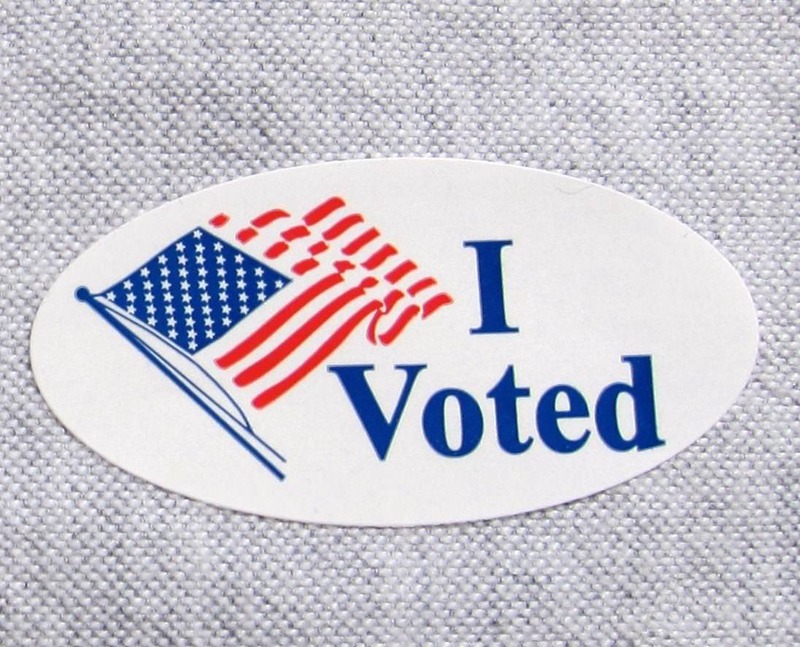 Another interesting way that stickers have played into American politics is through the omnipresent "I Voted" stickers that are given out at the voting booths for every election from Town Council Chairman to President of the United States. These stickers first appeared in the 1980s as a way to encourage voting and advertise to potential voters, but with the advent of social media in the early 2000s, these stickers came more and more into the public focus. Today, people immediately post their "I voted" sticker selfie online to sites like Facebook, Instagram, and Twitter mere moments after walking out of the voting booth. As with most phenomenon, some people are excited about this trend while others view it as a harbinger of society's downfall.. In a 2014 article titled "Why I Hate 'I Voted' Stickers", the NY Post's Kirsten Fleming talks about the way these stickers have come to represent a "smug, self-congratulatory ethos" when it comes to something that should be the obligatory duty of a citizen anyway." On the other side of the argument, Derek Thomson argues that "that the sticker "binds people together in solidarity and reminds others to join the group" in a 2012 article for The Atlantic titled "Why the 'I Voted' Sticker Matters." One thing is certain—elections are hard to ignore or forget when everyone you see on the street (or on your Instagram feed) sports these American flag-emblazoned little crests. Who knew that something as small and seemingly harmless as a button or sticker could have such a huge effect on an entire country? While we spend a lot of time talking and arguing about politics, we rarely give thought to the small things that shape our society. However, buttons and stickers have become as important and influential to our political system as war cries were to ancient societies. They've become something we rally around and display proudly—and something that probably influences us far more than we realize when we're not paying attention. There are countless ways to promote your favorite campaign, candidate or cause using stickers and buttons. Check out different ways Sticker Mule can help you get out the vote.